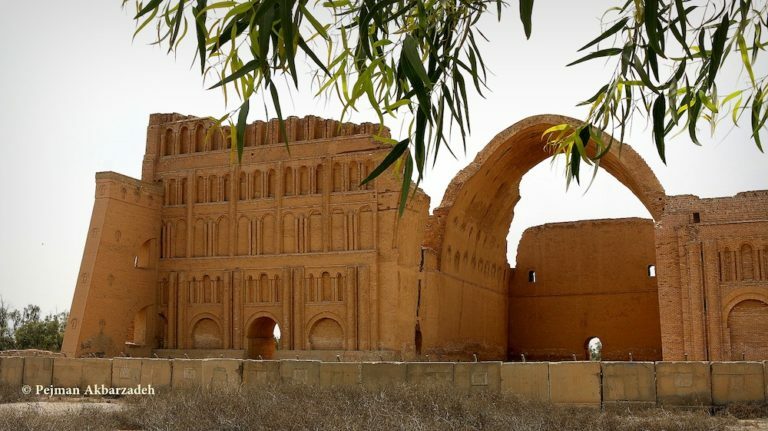 Taq Kasra: Wonder of Architecture is the first-ever documentary film on the world’s largest brickwork vault in Ctesiphon (near Baghdad in present-day Iraq). . The present ruins are those of the palace built n by the Sasanian Dynasty near the strategic frontier with the Roma Empire. 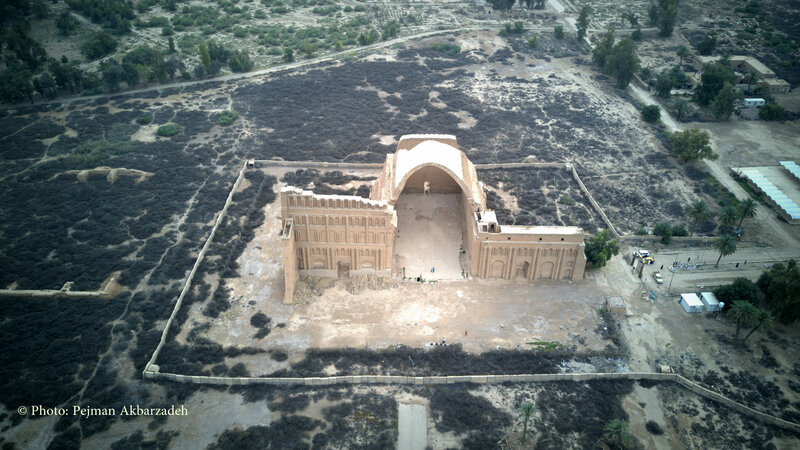 After the Arab invasions of the 7th century AD, the imposing ruins, although suffering from neglect, remained a source of inspiration for caliphs, poets and travellers. Taq Kasra was in serious danger of ISIS attacks in 2015-2016 and this was the main motivation for documentary maker Pejman Akbarzadeh, based in the Netherlands, to travel to Iraq twice and film the arch before it was potentially destroyed. The film explores the history and architecture of this iconic monument with respected archaeologists and scholars from around the world and portrays the huge impact of war and ideological policies on the identity of this ancient arch. Mr Akbarzadeh has been successful in securing informative interviews with experts in different locations around the world and bringing together examples of Sassanian art from various museums in a range of locations. The film’s striking imagery, expert commentary, references to poetry, and events of recent history, will prompt the curious viewer to seek to learn more about both the edifice and the culture and dynasty to which it belonged. Mr Akbarzadeh’s use of drone imagery deserves particular mention as it has produced fresh angles of the monument that increase the film’s visual drama and appeal. Its appropriate rhythm is, in my opinion, matched by a suitable music. This is a significant achievement. The film sheds light on the afterlife of this important monument. The viewer learns that, more than a mere monumental edifice, the Taq (and by extension any such grand edifice) has become a site of multiple imaginings. It has inspired design motifs and decorative elements in premodern and modern eras, it has worked as an allegory in literature and thence music, and has been a past destination and is a present point of origin for a raft of fine artistic objects that are now scattered in museums around the world. The monument thus transcends the boundaries of a site. One hopes the audience will notice that the rich history associated with this edifice, and those like it, are guarantors of the persistence of the cultural memories, that transcend momentary political appropriations by ambitious or violent political leaders. In this respect, and for scholars of critical heritage studies, the information about its appropriation into Saddam’s anti-Iranian rhetoric was of interest. Ideological appropriation of heritage is not uncommon and has happened in Iran too. The Taq is yet another illustrative example of an historic monument surviving multiple conflicting projections. The outcome of Mr Akbarzadeh’s efforts is a film that communicates the topic to a public audience without compromising its scientific integrity. It can also be a good starting point for further scholarly work and round tables about various topics: the origins of the edifice, the origins of Sassanian architecture, the state of archaeological works around the edifice, and finally, theoretical and practical discussions about heritage theory and practice including transnational heritage and methods of its registration.